How do you Photo background change? Because of the today’s Internet evolution and of the possibilities that it offers, it also creates new and strange needs. If you are in need of a photo background change operation done on a single image or an entire gallery, but you have no knowledge about photoshop or any other software tool that might help you do that, you shouldn’t worry for a bit. Why? Because the internet also offers solutions. To be more precise, companies and software tools offer solutions, the internet being only the market where you will find them, but either way, you will still get the service you need and the results you are looking for. 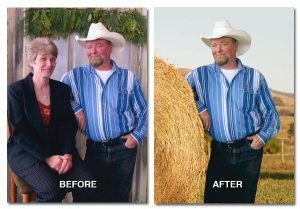 The online solutions for photo background change needs are plentiful. From freelance designers who can’t wait to catch a gig on sites like Freelancer.com or oDesk.com to well organized and managed companies who are activating entirely in online and offer their services to clients from all over the world, you will have an easy time finding someone who can do the work for you. In the last years, thanks to the software development which moved at an impressive speed, we also have machines which are attempting to replace the humans from this equation. They are not machines that are just a figure of speech, but they are applications, and their purpose is to automatize the whole process of outsourcing photo background change work. It’s predicted that in the future, this kind of jobs can be done entirely online, eliminating the need for human work in processes like clipping path or background removal and changing, but until that happens, let’s talk about the solution you dispose of at the moment. The online applications are not entirely automated yet, they still need human commands, but those commands will be given by you. All you will have to do to cut out the focus from the background of a picture will be to trace some lines and mark some areas so that the software will know which part should be cut out and which part should go. There are applications more advanced that will manage to offer you good results even in the pictures where there are elements which are hardly distinguishable from the background, like hair, fur, and elements from flower bouquets. As you could see in the previous paragraph, there are two main solutions to your need, one that includes human work and one that is entirely automated. So which one should you choose? For the moment, we can say that the applications for photo background change are offering high-quality results, the kind of images that you would use to advertise your company or product. However, for personal use, such the artwork for a family album or social media postings, the results offered by online applications are decent enough. If you need professional results, you should work with professionals. The work done by a designer is always done by hand, and it’s the attention to details which makes a photo background change look good. In case of time is a problem for you, it’s indicated to acquire the services of a company because they will assign an entire team to work on your project, which means that it will be ready in far less time than a single freelancer could do it. So if you want to find the right solution for you, all you need to do is to decide what your needs are. Once you decided that, you will be able to make the right choice. Good luck!